MIAMI/MOSCOW, March 17 (Reuters) – During the 2016 presidential campaign, Donald J. Trump downplayed his business ties with Russia. And since taking office as president, he has been even more emphatic. The Trump organization advertises all seven Florida buildings on its website as it pursues similar branding deals around the world. Exactly how much income Trump has earned from the buildingsis unclear. Six of the seven properties were the product of an agreement the New York property magnate struck in 2001 with father-and-son American developers Michael and Gil Dezer. The six buildingsoperated by the Dezers in Sunny Isles would bear Trump’s name under a licensing agreement. In an interview, Gil Dezer said the project generated $2 billion in initial sales, from which Trumptook a commission. Dezer declined to say how large a commission, citing confidentiality agreements. 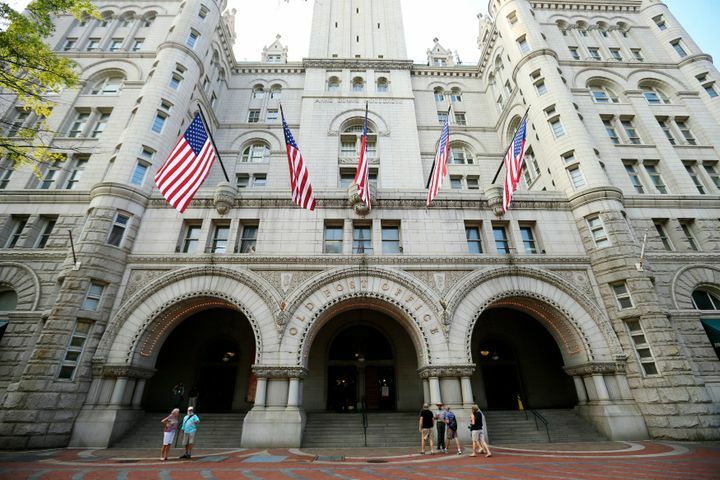 Garten, the Trump Organization’s chief legal officer, said Trump’s income was a mix of flat fees and percentages but declined to disclose them. He continues to make money from one of the six Sunny Isles buildings, however, according to disclosure forms Trump filed in the 2016 U.S. presidential race. The disclosure form states thatTrump received between $100,000 and $1 million from a business called Trump Marks Sunny Isles I LLC. Dezer said these funds came from the Trump International Beach Resort, a hotel and condominium complex. Trump reported no income on his disclosure form from his seventh Florida property, the TrumpHollywood in the city of Hollywood. How much he has made over the years from that property’s 200 units is unclear. BH3, an investment fund which took over 180 units in a foreclosure sale, paidTrump a licensing fee of $25,000 for each unit, according to Daniel Lebensohn, a principal at the fund. If the remaining 20 units generated the same fee, Trump’s take would have been $5 million. Garten declined to confirm Trump’s commission. One wealthy Russian buyer was Alexander Yuzvik. In 2010, he and his wife bought unit 3901 ofTrump Palace in Sunny Isles for $1.3 million, according to Florida property records. The three-bedroom apartment has 2,100 square feet and panoramic views, according to an online real estate listing. A donor to orphanages and chess clubs in St. Petersburg, Ustaev has received awards from theRussian Sports Ministry and the St. Petersburg chamber of commerce for his banking and charitable work, according to his biography on the bank’s website. A corporation Misevra controls, Swiss Residence Aliance Inc, purchased Penthouse #1 in TrumpHollywood for $6.8 million in 2010. The six-bedroom duplex is 8,200 square feet and boasts 12-foot ceilings, according to real estate listings. Misevra did not respond to requests for comment. As a member of the regional parliament, he was required to declare his income and assets underRussian federal law, according to a representative of the Bashkortostan regional parliament. A copy of the income declaration Gataullin filed for in 2013, when he was still owner of the secondTrump unit, contains no mention of the apartment. An aide to Zaldostanov did not respond to questions from Reuters. The group, in interviews inRussian media, has denied storming the base and the gas facility. By early 2011, the Trump buildings had started to turn a profit, according to Dezer. He invitedTrump to a mortgage burning ceremony to celebrate Dezer’s paying off the project’s $475 milliondollar mortgage. Dezer recalled Trump telling him that he planned to run for president.